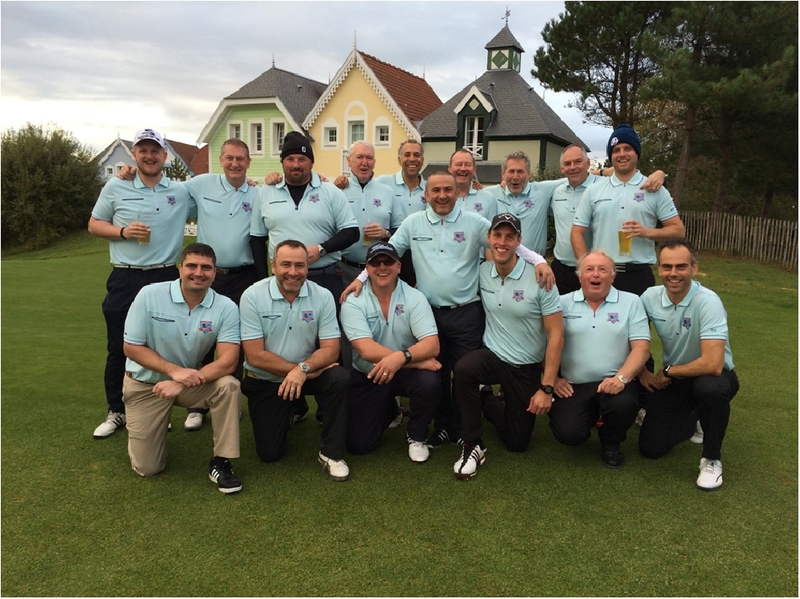 Whether you are arranging a fun golf tour with your colleagues or a golf event at your club, playing in a team competition or sponsoring a team in a charity event or pro am, Golf Teamwear will help you project a great team spirit. Here at Golf Teamwear, we can provide personalised golf polo shirts, tour golf caps, golf pullovers and outerwear in a wide range of brands and colours to project your image, all embroidered with your logo or event details and at key price points to meet your budget. Most importantly, we want to provide you with a great personalised golfwear, customer service experience. As every group and event is special, we pride ourselves in attention to detail and to ensuring that we help you get what you want for your event, on time and on budget. And of course there are always Special Offers available throughout the year. See our special offers section. We are currently offering 20 beanies with your society or corporate logo embroidered on the front for £100 +vat. On orders of Finden & Hales piped performance golf shirts we are supplying a free golf cap embrodered with your logo with each shirt ordered. Also, dont miss the "Buy 4 pay for 3" offer.on roll neck jumpers. Call, email or use our online chat facility. We would be delighted to provide your personalised golfwear to help make your golf event very special. Golf Teamwear is a trading name of Signature Sales and Marketing Ltd.
Site © Copyright Signature Sales and Marketing Ltd 2018. Elkington Lodge, Nr Welford, Northampton NN6 6HE. Company Number: 7244973.